GLENDALE, ARIZONA – Arizona Coyotes Co-Owner, President and CEO Anthony LeBlanc announced today that the Coyotes and Arizona based Gila (pronounced HEE-luh) River Casinos have agreed to terms on a nine-year partnership agreement that includes the naming rights for Glendale Arena. The agreement is pending approval from Glendale City Council on September 9. If approved, the new name of the venue will be Gila River Arena. Financial terms of the agreement were not disclosed. This will be the first naming rights deal for Gila River Casinos and the first federally recognized Tribal naming rights deal with a sports venue that houses one of four major professional sports leagues in the country. Under the terms of the agreement, Gila River Casinos will receive the naming rights and associated premier signage on the facility. In a separate transaction, the Coyotes and Gila River will enhance their long time sponsorship relationship with a variety of additional advertising, marketing and merchandising opportunities at the arena. Owned by the City of Glendale, Gila River Arena is home to the National Hockey League’s Arizona Coyotes and a multitude of spectacular entertainment events annually. The arena opened on December 26, 2003 (Arizona Sting lacrosse game) and the following night, December 27, the Coyotes hosted the Nashville Predators in front of a standing-room only crowd of 19,052 for the inaugural NHL game at the venue. Since 2003, the venue has also hosted major acts such as U2, The Rolling Stones, Paul McCartney, Elton John, Prince, Bruce Springsteen, The Eagles, Britney Spears, Usher, Kenny Chesney, Taylor Swift, Justin Bieber, Aerosmith with Lenny Kravitz, Bon Jovi, Madonna, The Red Hot Chili Peppers, Justin Timberlake, Christina Aguilera, John Mayer, Tim McGraw and Faith Hill and many more. Upcoming concerts include Marc Anthony (August 30), Ed Sheeran (August 31) and Katy Perry (September 25). 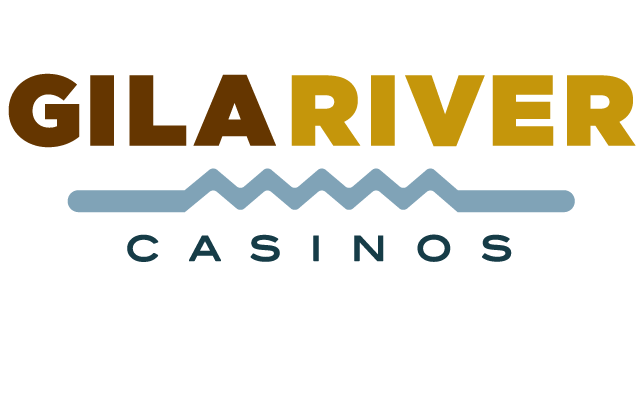 Gila River Gaming Enterprises, Inc. operates three Arizona casinos owned by the Gila River Indian Community including Wild Horse Pass Hotel & Casino, Lone Butte Casino, and Vee Quiva Hotel & Casino. All three casinos offer a combination of slots, table games, bingo, and poker, and are open 24 hours a day, 365 days a year. Additional information on this and other events is available by calling 1-800-946-4452, or on our website at www.wingilariver.com. 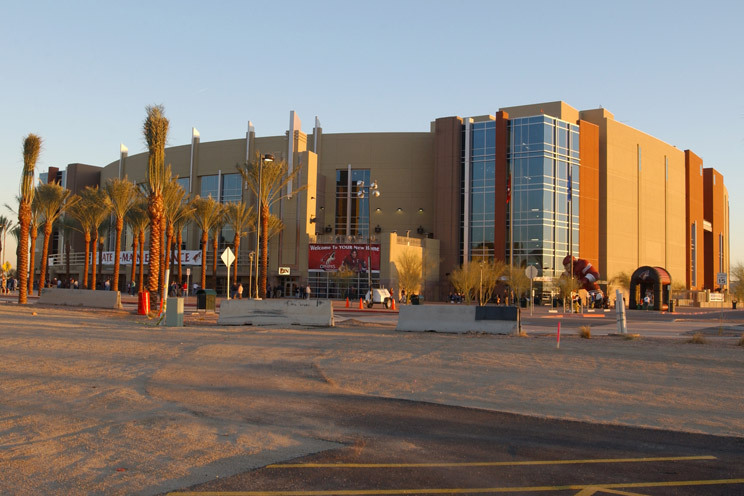 Gila River Arena is a state-of-the-art, multi-purpose facility located in Glendale, Arizona. The arena anchors the 223-acre, $1 billion development Westgate Entertainment District, the "crown jewel" of sports and entertainment complexes. Owned by the City of Glendale, Gila River Arena is home to the National Hockey League’s (NHL) Arizona Coyotes and a multitude of spectacular entertainment events annually. The arena opened on December 26, 2003 (Arizona Sting lacrosse game) and the following night, December 27, the Coyotes hosted the Nashville Predators in front of a standing-room only crowd of 19,052 for the inaugural NHL game at the venue. The arena has also hosted five NHL Playoff series, including the 2012 Western Conference Final. The venue has also hosted major acts such as U2, Elton John, The Rolling Stones, Paul McCartney, Bruce Springsteen, Prince, The Eagles, Rod Stewart, Toby Keith, Britney Spears, Usher, Kenny Chesney, Taylor Swift, Justin Bieber, Aerosmith with Lenny Kravitz, Nickelback, Bon Jovi,Madonna, the Red Hot Chili Peppers, Justin Timberlake, Christina Aguilera, John Mayer, Tim McGraw and Faith Hill.